Loved by Kids and approved by Moms, Zollipops are no ordinary suckers, they are supercharged with erythritol, xylitol, stevia and other smile friendly natural ingredients. 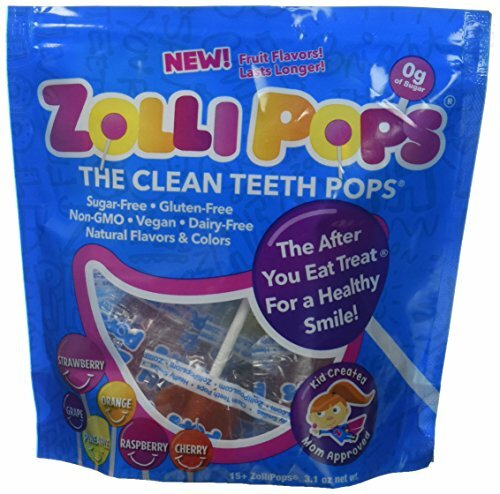 Each zollipop contains non-gmo xylitol and erythritol, two favorites with dentists. Zollipops help reduce the acidity and raise the ph in your mouth. High acidity contributes to tooth decay. Zollipops were created by Alina Morse, an innovative young girl in Michigan who decided she wanted to create a sugar free candy that tastes great AND is good for your teeth. Alina and her father set off to find and incorporate the best possible ingredients, and great different flavors. After many trials, Alina and her dad started sharing these new zollipops with friends and family, the rest is history in the making. You'll enjoy the taste and love the smooth, clean feeling zollipops deliver as they help bring a healthy ph level to your mouth and leave your teeth feeling clean and refreshed. If you have any questions about this product by Zollipops, contact us by completing and submitting the form below. If you are looking for a specif part number, please include it with your message.